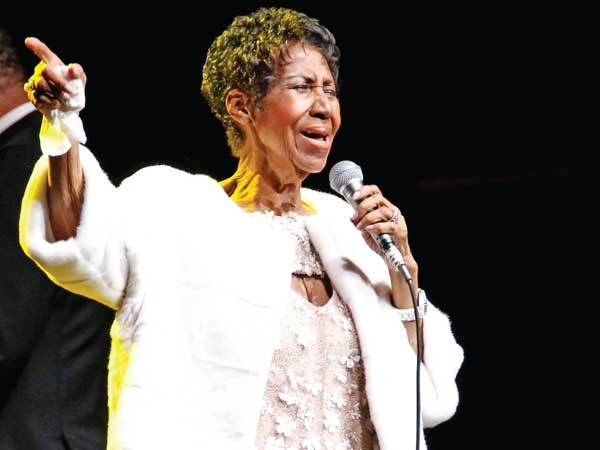 Aretha Franklin, the undisputed “Queen of Soul” who sang with matchless style on such classics as Think, I Say a Little Prayer and her signature song, Respect, and stood as a cultural icon around the globe, has died at age 76 from pancreatic cancer. Publicist Gwendolyn Quinn tells The Associated Press through a family statement that Franklin died Thursday at 9.50 am at her home in Detroit. The statement said “Franklin’s official cause of death was due to advanced pancreatic cancer of the neuroendocrine type, which was confirmed by Franklin’s oncologist, Dr Philip Phillips of Karmanos Cancer Institute" in Detroit. A professional singer and accomplished pianist by her late teens, a superstar by her mid-20s, Franklin had long ago settled any arguments over who was the greatest popular vocalist of her time. Her gifts, natural and acquired, were a multi-octave mezzo-soprano, gospel passion and training worthy of a preacher's daughter, taste sophisticated and eccentric, and the courage to channel private pain into liberating son. She recorded hundreds of tracks and had dozens of hits over the span of a half century, including 20 that reached No. 1 on the R&B charts. But her reputation was defined by an extraordinary run of top 10 smashes in the late 1960s, from the morning-after bliss of (You Make Me Feel Like) A Natural Woman, to the wised-up Chain of Fools to her unstoppable call for Respect.